At 15 to Fit, we have designed various packages to meet your needs. Your goals and your budget are always our top priority. 15 to Fit Eight: Make 15 to Fit Pilates and barre the go-to workout and the core of a solid fitness routine. 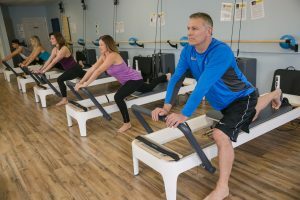 Members typically see faster, better results and develop a thorough understanding of core Pilates fundamentals. On average, work out about twice per week with convenient class times to meet your busy schedule with the 15 to Fit Eight Package. 15 to Fit Junior: From 12 to 20 years old, fitness is not only critical in establishing healthy habits and self confidence, but 15 to Fit builds a solid foundation for strong muscles, healthy joints, flexibility, balance and a strong core. Our Junior membership is available to individuals and even teams who want to maintain peak performance during the important developmental years. 15 to Fit Unlimited: Considering results and individualized personal attention this package is THE BEST FITNESS DEAL IN ALL OF LAKE NORMAN! Plan to work out three times per week or more? GREAT! 15 to Fit will meet and exceed all expectations. Our unlimited clients have the best results month after month and year after year. The more you do 15 to Fit Pilates, the more fit you become. The results are PHENOMENAL when you commit to yourself at this level. 15 to Fit Annual: Sometimes it makes sense to pay in advance. 15 to Fit Annual is our hassle-free option for unlimited access to 15 to Fit without paying a monthly membership fee. You receive 10% off of our total package rate when you buy in full. 15 to Fit Private Sessions: 15 to Fit private session membership options are exclusive and offer the greatest return on your investment. 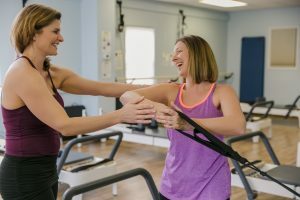 These sessions are individually structured just for you and your needs and help you adhere to your program, whether or not you enjoy exercising.